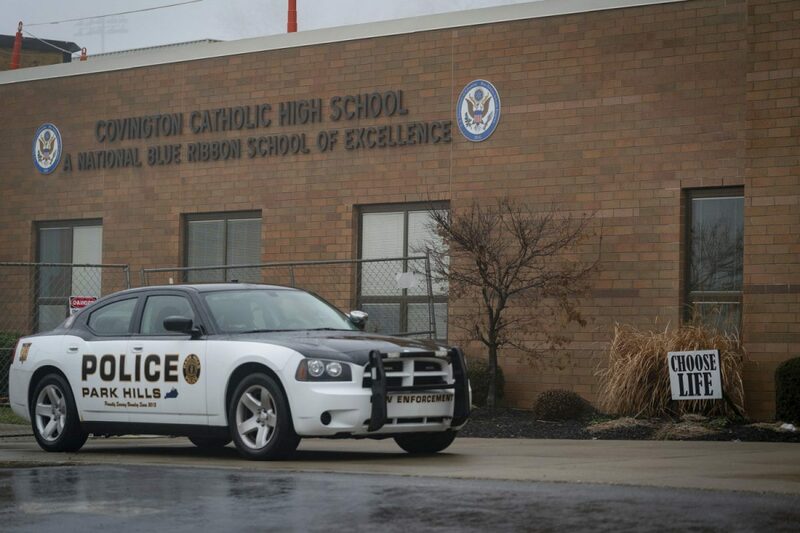 A journalist who called for the death of Covington Catholic High School students has been fired from his other job. Erik Abriss, who writes for New York Media’s Vulture website, said in a post on Twitter on Jan. 19 that he wanted the students to die. Abriss was reacting to the early reporting on an incident featuring the students and a group of Native American, anti-President Donald Trump activists. Initial reports framed the encounter as the students harassing the activists and chanting “Build the wall,” but the full video footage later showed no such chants and no such harassment. Abriss had not deleted either tweet as of Monday morning but by Tuesday his account had been locked, meaning only Twitter users who follow him had access to his tweets. Abriss was fired from his job as a post-production supervisor at INE Entertainment, the company announced on Monday; New York Media has not commented on his employment status. Abriss was not alone in calling for violence or severe action against the students. 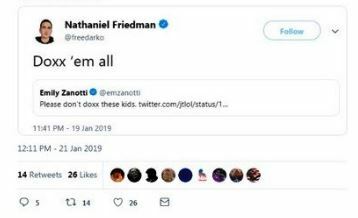 GQ writer Nathaniel Friedman said that the students involved in the incident should be “doxxed,” or have their personal information revealed to the public. In a statement to The Wrap, he said that the post was “irresponsible and stupid,” though he refrained from apologizing to the students. Several former or current CNN employees called for the students to be punched, including Bakari Sellers, who is also a former South Carolina representative. Sellers did not apologize despite deleting the post. Hollywood producer Jack Morrissey posted a short video showing a person wearing a “Make America Great Again” hat, like many of the students were, being stuffed into a woodchipper and said they should die. He later apologized after locking his Twitter account. New York Times reporter Maggie Haberman also weighed in early on, claiming that the students should be expelled from school for their perceived actions. Others, including New York Times contributing op-ed writer Kara Swisher, said that the students were Nazis and nationalists. Swisher deleted several tweets and later apologized. ” I was a complete dolt to put up this and several other obnoxious tweets yesterday without waiting to see the whole video of the incident and I apologize to the kids from Kentucky unilaterally,” she said. 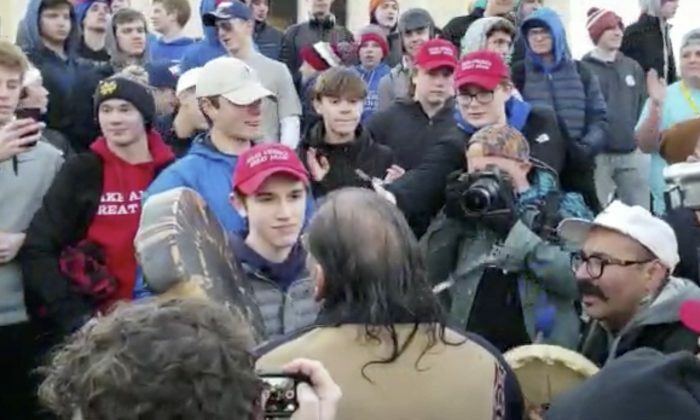 Nick Sandmann, the main student, said that he and his family received a number of death threats, as did the family of another Covington student who was falsely identified as Sandmann.